Leading foodwriter and author, Kathy Paterson was tasked with the challenge of being Head Aesthetic Judge and was glowing in her assessment of the two Supreme Award winners as well as the general standard across the competition: “Throughout this year’s competition, the standard has been phenomenal. Flavours have been well thought through, the quality of the butchery has been impeccable and as a result it has created a really tough, but enjoyable, job for the judges. The journey to Supreme status for the winning sausages has been a long and rigorous process. Over 480 entries from over 90 stores entered sausages into the 13 categories and were judged over a two-day snarler extravaganza last month by a squad of butchers, foodies, chefs and industry heavyweights. From here, gold, silver and bronze medals were awarded in each category with the gold medallists then being re-judged against one another, with Westmere Butchery and New World Te Rapa’s sausages coming out on top. The announcement of New Zealand’s top tasting banger comes just in time for National Sausage Day tomorrow – Friday 19 October – as Kiwis across the country fire up their barbies for Labour Weekend. 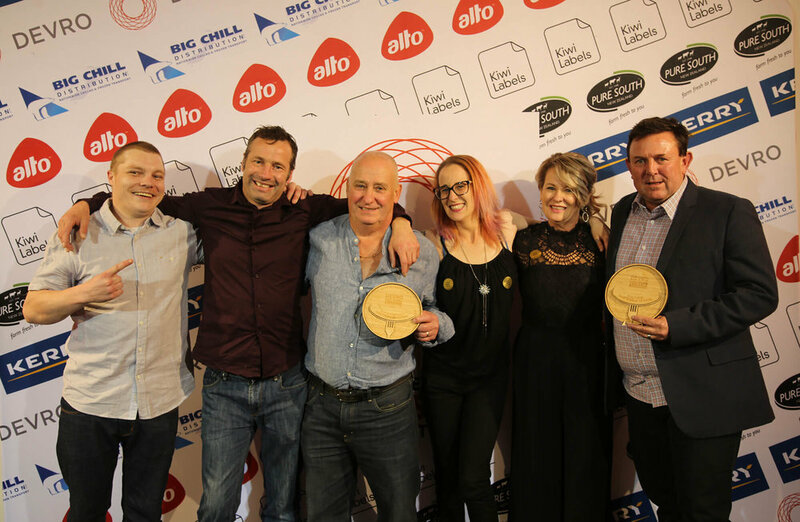 The success for Westmere Butchery and its head honcho David Rossiter this evening came hot on the heels of being awarded the People’s Choice Award for the 2018 Devro Great New Zealand Sausage Competition achieving the rare feat of winning both titles. The Devro New Zealand Wildcard winner was awarded to Peter Timbs Meats in Christchurch for producing the highest scoring sausage in a Devro casing, with their Hot Chorizo. During the glamourous awards dinner, entrants and industry figures were treated to the inaugural Trans-Tasman Sausage Showdown which saw New Zealand come out on top. The challenge was to turn 9kgs of beef trim into a delicious sausage mix, fill and then link the sausages as quickly as possible. Team New Zealand made up of Sharp Blacks captain Corey Winder and fellow team member Jeremy Garth operated like a well-oiled machine to stop the clock at a remarkable 6 minutes and 18 seconds to take out the title.